This policy applies to cabinetry you believe came incorrectly, the order came short, or do not meet Mod’s standards for quality manufacturing. 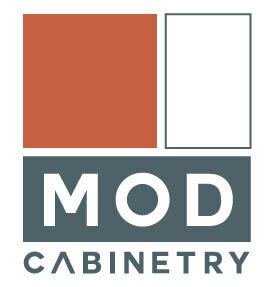 You are guaranteed to get the cabinetry listed on your order form built to Mod’s standards for quality. Mod Cabinetry reserves the right to either replace or repair any cabinet(s) that that has not been manufactured correctly. If you have received something you believe is not correct, file a claim with Mod Cabinetry immediately with photos of the item. We will work with you to find a solution, explanation, or repair/replace the product. Don’t worry. While manufacturer errors are unusual, they can happen since each cabinet is built by real humans. We have a process to fix such issues if they come up and will work with you and the installer to resolve the issue as quickly as possible. Don’t install the cabinetry without a reply from us first. If we need to replace a cabinet and you’ve already installed it, we do not pay to remove it. Don’t try to repair it yourself and bill us later. Communicate with us first and send photos with a description of the damage or error so we can work together and resolve the issue. Warranty orders are only for products previously produced by Mod Cabinetry. Changes or substitutions from originally ordered products are not accepted. Mod Cabinetry may require the manufacturer’s representative to inspect the warrantied item(s) and also may require the item(s) to be returned for quality assurance inspection.